This spacious 3200sf home will deliver magic to your holiday. •	King bedroom with ensuite therapeutic bath. TV. Balcony. •	King bedroom with semi-ensuite full bath (shared). TV. •	Queen bedroom with full bath . TV. •	Twin bedroom (2 single beds). TV. Tremblant Living is the leader in luxury rentals in Mont Tremblant. Founded in 2003 Tremblant Living was created to offer the finest Mount Tremblant Canada vacation homes for rent. Our mission is to provide vacationing families and groups with an upscale living environment. 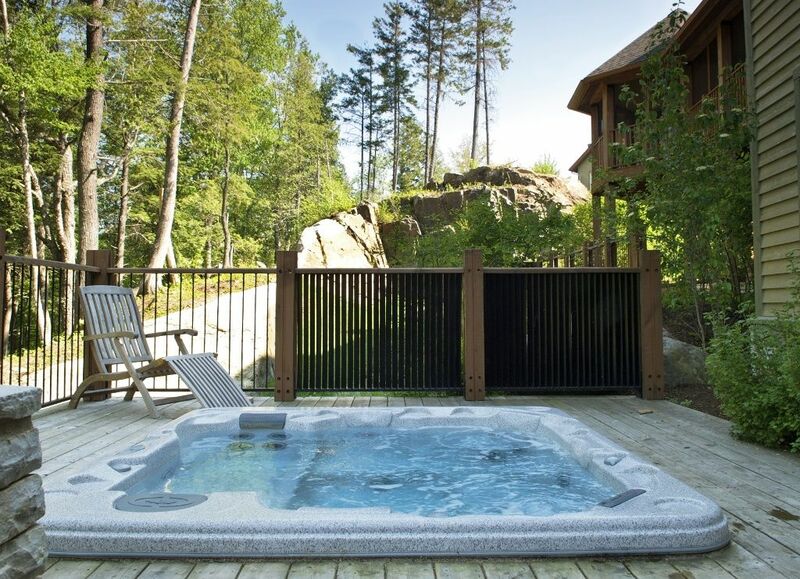 We pride ourselves in providing a high level customer experience to vacationers in Mount Tremblant. Our business has a unique offering: We market vacation homes that are on or close to the resort and that are equipped with everything that you could possibly need in your own home. Our Tremblant properties also respect some of the highest standards in the hotel environmental practices area. We are accredited by the Better Business Bureau of Quebec and seek to deliver a pleasant experience and peace of mind during your vacation. Private chef and daily housekeeping optional. Telephone only for local calls. Golf vacation spot that was perfect for 8 adults. Excellent kitchen, tons of space, great layout and comfortable beds. This place was excellent. The property was fantastic - very nice family room / kitchen area where we could all gather, plenty of bedrooms, private hot tub, and more. The staff was very helpful with some special requests. The only disappointment was that we could not find any easy way to "ski in ski out." Amazing stay on Panache! Thank you! Our group had an incredible weekend at Panache 633, thank you! The place was beautiful, and in great shape when we arrived. The location on the mountain was perfect. We absolutely loved everything.